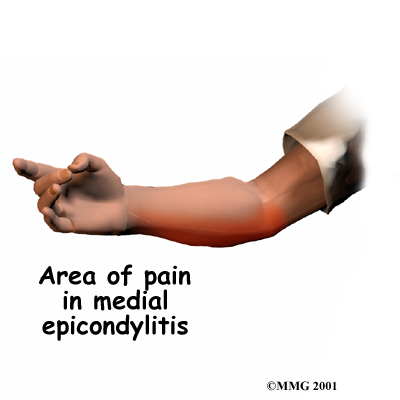 Welcome to Barkman & Smith Physical Therapy's patient resource about Golfers Elbow (Medial Epicondylitis). How can I be sure I have golfer's elbow? When you first visit Barkman & Smith Physical Therapy, our Physical Therapist will take a detailed medical history. You will need to answer questions about your pain, how your pain affects you, your regular activities, and past injuries to your elbow. 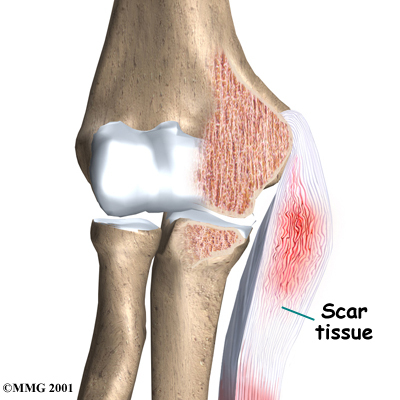 The physical exam is often most helpful in diagnosing golfer's elbow. Our Physical Therapist may position your wrist and arm so you feel a stretch on the forearm muscles and tendons. This is usually painful with golfer's elbow. We may also use other tests of wrist and forearm strength to help diagnose golfer's elbow. 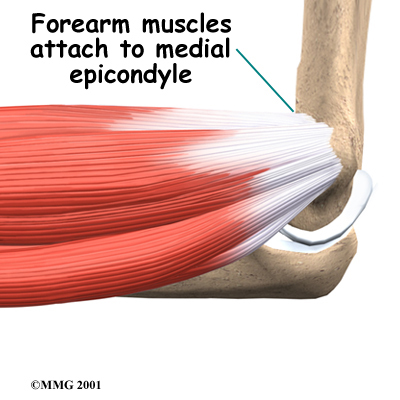 Golfer's elbow symptoms are very similar to a condition called cubital tunnel syndrome. 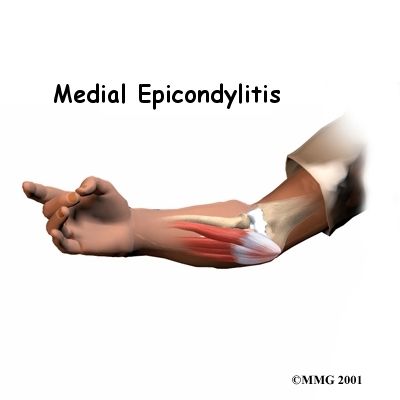 This condition is caused by a pinched ulnar nerve as it crosses the elbow on its way to the hand. If your pain does not respond to treatments for golfer's elbow, our therapist may suggest tests to rule out problems with the ulnar nerve. When you begin your Physical Therapy program at Barkman & Smith Physical Therapy, our Physical Therapist will give you tips on how to rest your elbow and how to do your activities without putting extra strain on your elbow. 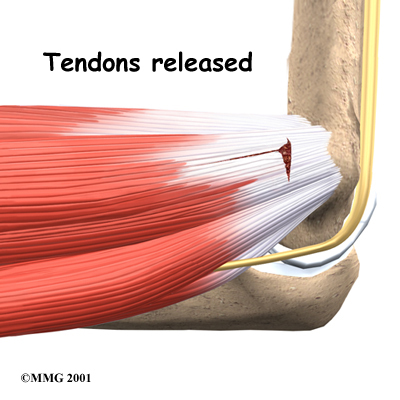 We may apply tape to take some of the load off the elbow muscles and tendons. Our Physical Therapist may advise the use of an elbow strap that wraps around the upper forearm in a way that relieves the pressure on the tendon attachment. 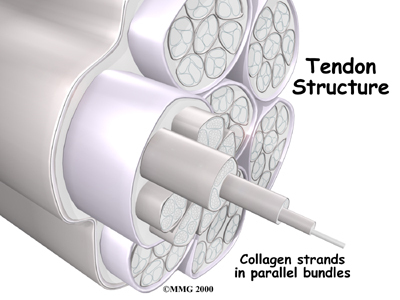 Your Physical Therapist in Bedford and Irving may apply ice and electrical stimulation to ease pain and improve healing of the collagen. Our Physical Therapy sessions may also include iontophoresis, which uses a mild electrical current to push anti-inflammatory medicine, prescribed by your doctor, into the sore area. This treatment is especially helpful for patients who can't tolerate injections. Exercises are used to gradually stretch and strengthen the forearm muscles. Because tendonosis is often linked to overuse, our therapist will work with you to reduce repeated strains during activity. When symptoms are from a particular sport or work activity, we will observe your style and motion with the activity. Our Physical Therapist may suggest ways to protect the elbow during your activities. 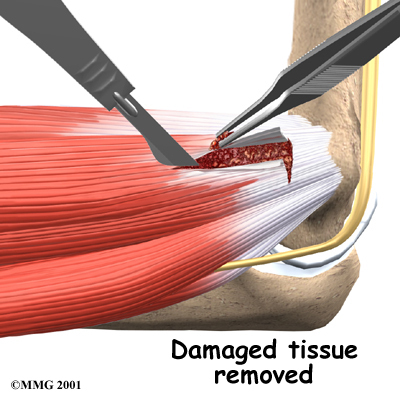 We can also check your sports equipment and work tools and recommend ways to alter them to keep your elbow safe. 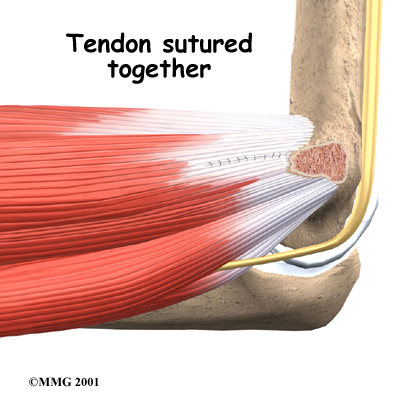 Although the time required for rehabilitation is different for each patient, in cases where the tendon is inflamed, nonsurgical treatment is usually only needed for four to six weeks. When symptoms are from tendonosis, you can expect healing to take longer, usually up to three months. If the tendonosis is chronic and severe, complete healing can take up to six months. Recovery from surgery takes longer. 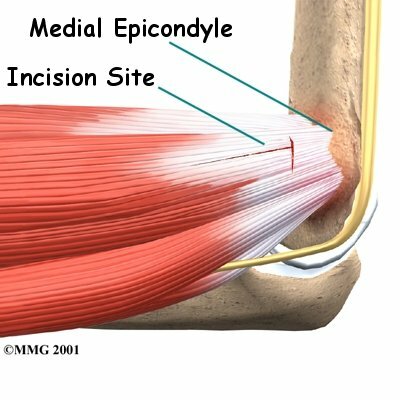 Immediately after surgery, your elbow is placed in a removable splint that keeps your elbow bent at a 90-degree angle. When you begin your Physical Therapy program, ice and electrical stimulation treatments may be used during your first few therapy sessions to help control pain and swelling from the surgery. Our Physical Therapist may also use massage and other types of hands-on treatments to ease muscle spasm and pain. We will gradually have you work into more active stretching and strengthening exercises. You just need to be careful to avoid doing too much, too quickly. 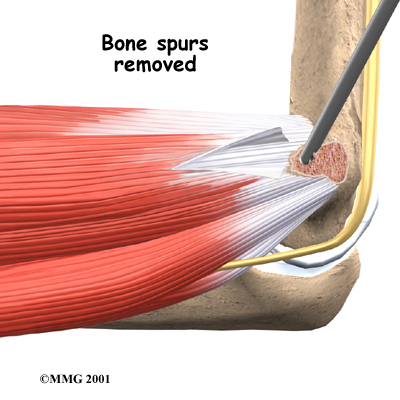 We typically begin patients on active therapy about two weeks after surgery. Our Physical Therapist may begin with light isometric strengthening exercises. These exercises work the muscles of the forearm without straining the healing tissues. You will also begin to use your own muscle power in active range-of-motion exercises. At about six weeks, our Physical Therapist may have you start doing more active strengthening. As you progress, we will give you exercises to help strengthen and stabilize the muscles and joints of the wrist, elbow, and shoulder. You'll also do exercises to improve fine motor control and dexterity of the hand. Some of the exercises you'll do are designed to work your hand and elbow in ways that are similar to your work tasks and sport activities. Our Physical Therapist will help you find ways to do your tasks that don't put too much stress on your elbow. Although the amount of time required for recovery varies among patients, you may need Physical Therapy for two to three months. It may take four to six months to get back to high-level sports and work activities. Before your Physical Therapy sessions end, our Physical Therapist will teach you a number of ways to avoid future problems. To diagnose golfer’s elbow, your doctor may order X-rays of your elbow. The X-rays mostly help your doctor rule out other problems with the elbow joint. The X-ray may show if there are calcium deposits on the medial epicondyle at the connection to the flexor tendon. If the problem is caused by inflammation, anti-inflammatory medications such as ibuprofen may give you some relief. Ensure that you consult with your doctor or pharmacist regarding the use of pain relief or anti-inflammatory medication. If inflammation doesn't go away, your doctor may inject the elbow with cortisone. Cortisone is a powerful anti-inflammatory medication. 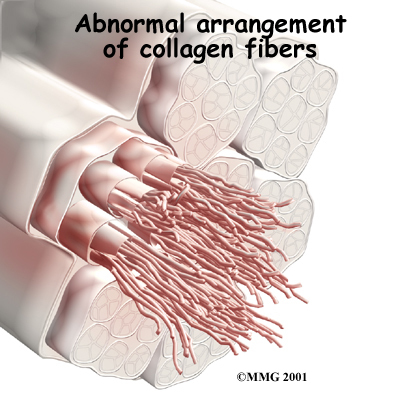 Its benefits are temporary, but they can last for a period of weeks to several months.